Buy Direct from one of our Audi Dealers. UK Car Broker selling the Audi TT, With the design and quality we’ve come to expect from Audi, the TT blends excellent performance with a few sportscar-style thrills. Its unique shape is instantly recognisable, and the design of the interior in particular is stunning. 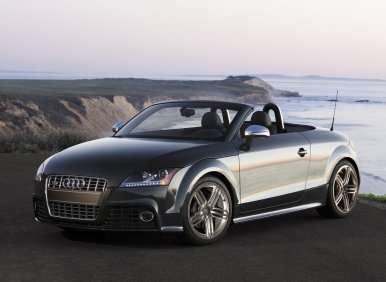 Now in its third generation, the TT offers two trims — S line and Sport — and a couple of engine choices. There’s a petrol TT using a 230hp 2.0-litre unit with front or four-wheel drive, or a 2.0-litre diesel version returning 67.3mpg while emitting just 110g/km of carbon dioxide. The latter only has front-wheel drive and manual transmission.